This is the NEW Retirement Tips website. 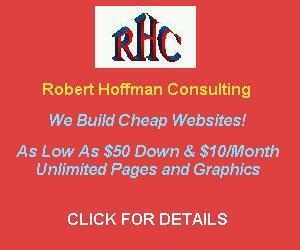 The original website was called "Retirement Tips and RV Stuff" and was designed primarily for those planning to spend most or all of their time in a recreational vehicle (RV). I've built this new version to concentrate only on retirement - to visit the RV Stuff website, CLICK HERE. It's packed full of interesting and entertaining information, so you may want to check it out. There's a list of topics on the left that try to address some of the major retiree questions on topics like how much money is enough, how to retire early, how to find work while RVing, and how to save money on key items like medical. There are also links to two books that I wrote that really expand on these topics. Although this book describes a 5-month trip taken several years ago, most of the major costs are still substantially the same as they were when the book was originally published. This book describes a 5000-mile trip in our new RV, with many RV buying tips, on-the-road tips, and amusing anecdotes about our adventures travelling from Florida to California. 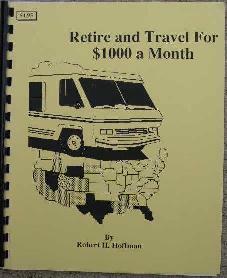 It includes my advice on how to get by on $1000 a month and other retirement and RV related tips that I learned on that first trip. In this sequel to his first book, Retire and Travel for $1000 a Month, Hoffman packs 20 years of RVing knowledge into an entertaining and informational format. The primary topics are RVing and retiring, with tutorials ranging from how to get started in RVing to how to save money in retirement. Sprinkled among the informative tutorials are a collection of RV anecdotes from frightening to funny to feel-good, including a chapter by a RVing non-enthusiast on how to survive with an RVing fanatic. Whether you're nearing retirement, curious about the RVing lifestyle, or just looking for an entertaining read, this book is for you. Available in ebook form at only $10. Click the graphic above to check out Northwestern Mutual's Lifespan Calculator.